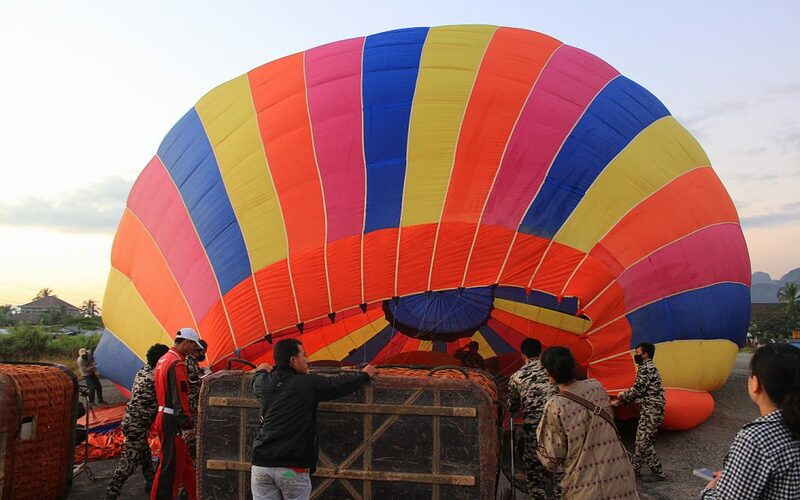 Mandalay, Inle Lake… Many destinations in Southeast Asia offer hot air balloon rides. While Mandalay in Myanmar offers spectacular views of the local temples, there’s one great reason to go hot air ballooning in Vang Vieng instead: the price. 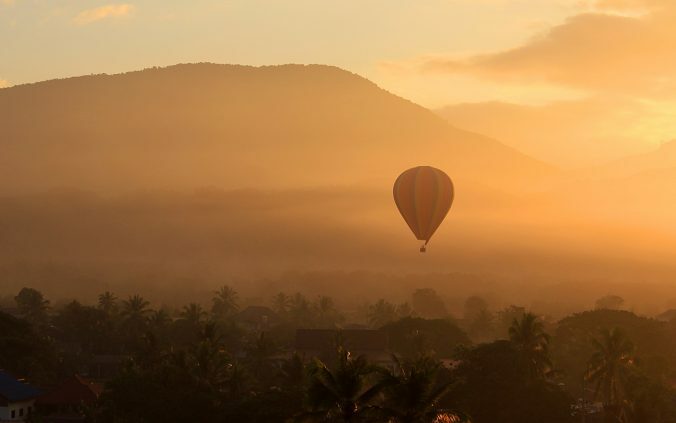 A balloon ride in Myanmar may cost hundreds of dollars, but hot air ballooning in Vang Vieng is much cheaper.The price of a 40 minute hot air balloon ride in Vang Vieng costs 90$. The price is just about the same, wherever you book – although I did meet a backpacker who got her ride on a discount for 70$ from her guesthouse. 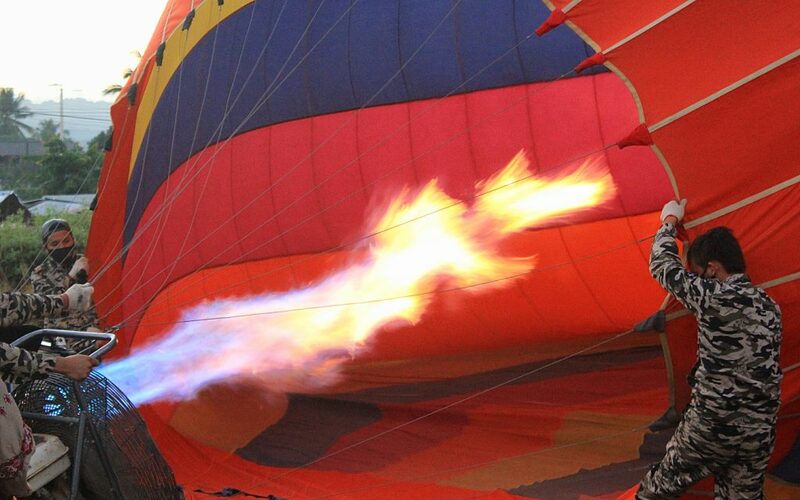 The price of the hot air balloon ride in Vang Vieng is cheap in comparison, but does that make the experience any worse? Not really. 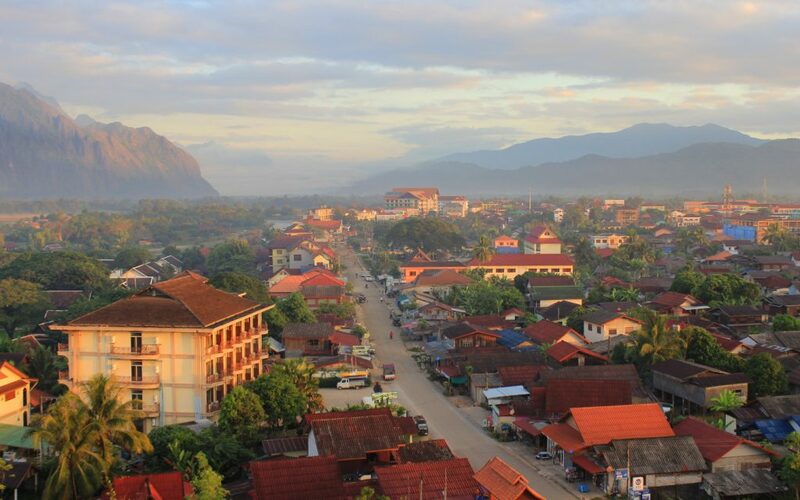 There are less balloon in the sky simultaneously, and there are no temples to spot down below, but there are plenty of other things to see in Vang Vieng. 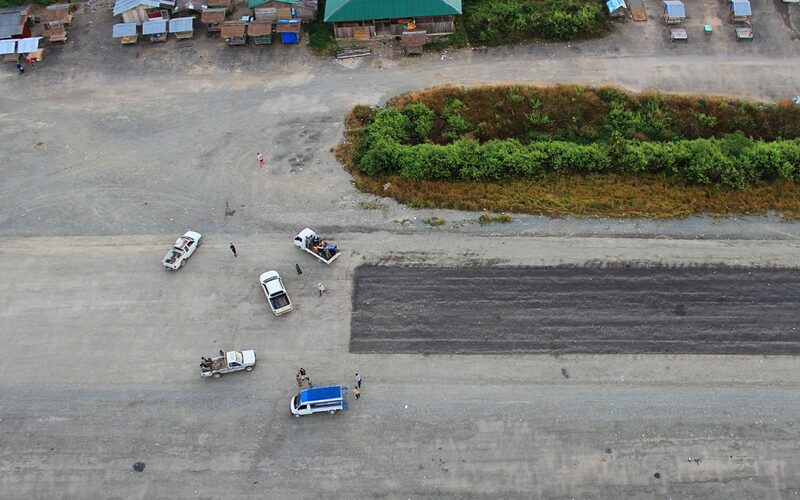 After an early wake up, we were driven to the Vang Vieng airport just before the sunrise. At first, the balloons are inflated with giant fans, but after a while, the workers let the flames begin. Gaining altitude. The hot air balloon rises to the sky very smoothly. 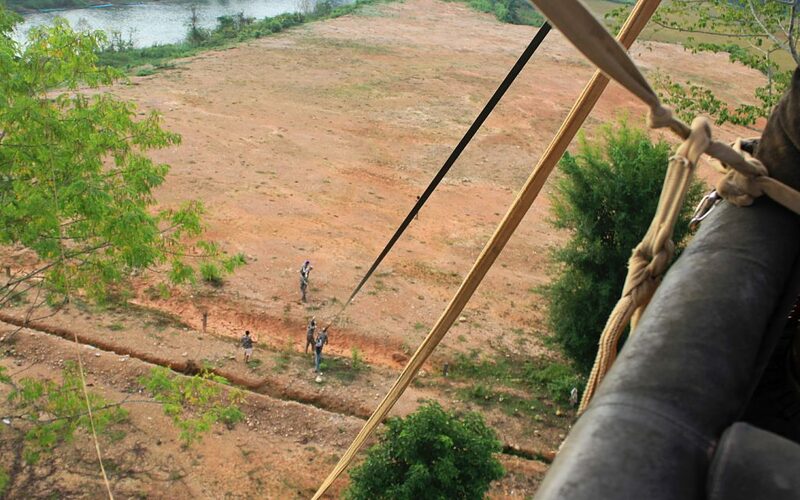 Seeing Vang Vieng from a hot air balloon. It’s like Google Earth in real life! No crowds in the sky. Only two hot air balloons took of in the morning. 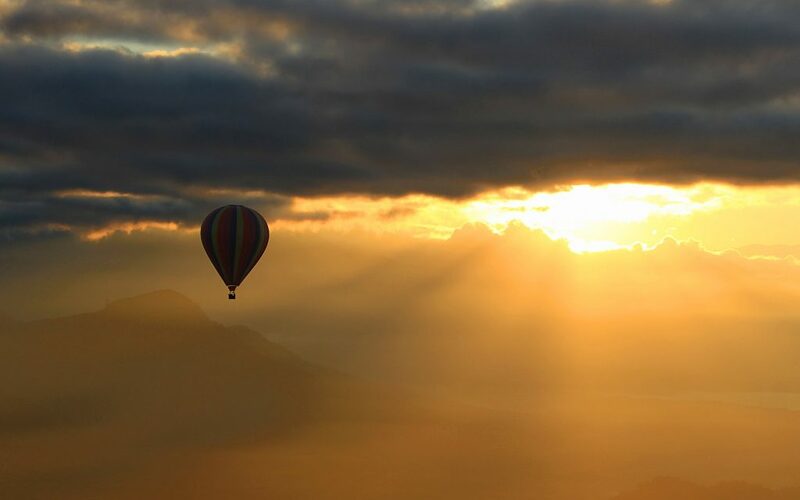 The hot air balloon can rise and drop altitude very quickly. 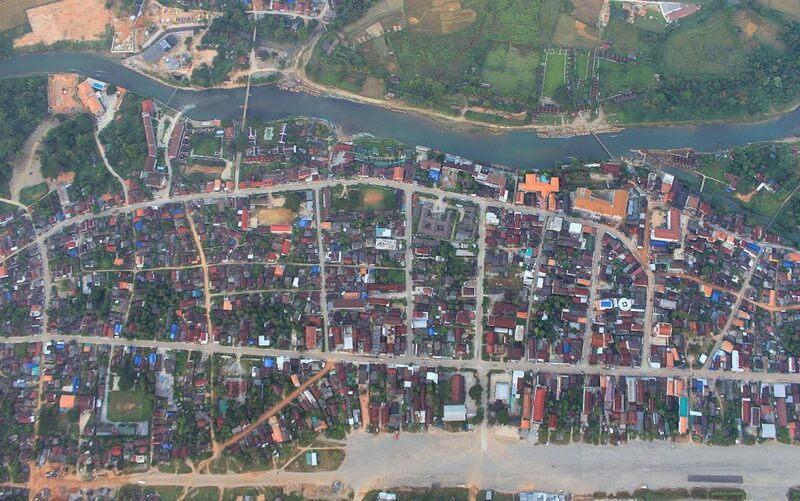 At one point, we flew very close to the rooftops of Vang Vieng. 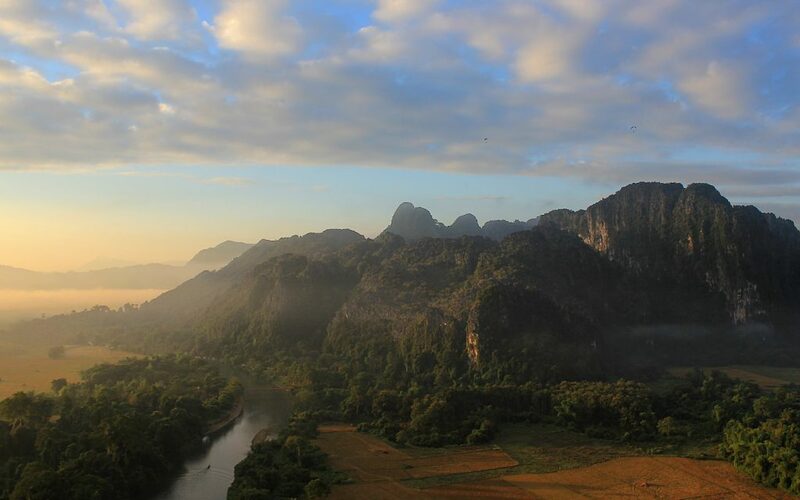 Even though Vang Vieng doesn’t offer temples or other cultural sights to marvel from above, the nature makes up for it. When the hot air balloon ride in Vang Vieng was over, we landed on an empty field on the other side of the local Nam Song River. So, how would I describe a hot air balloon trip in Vang Vieng? Should you do it? 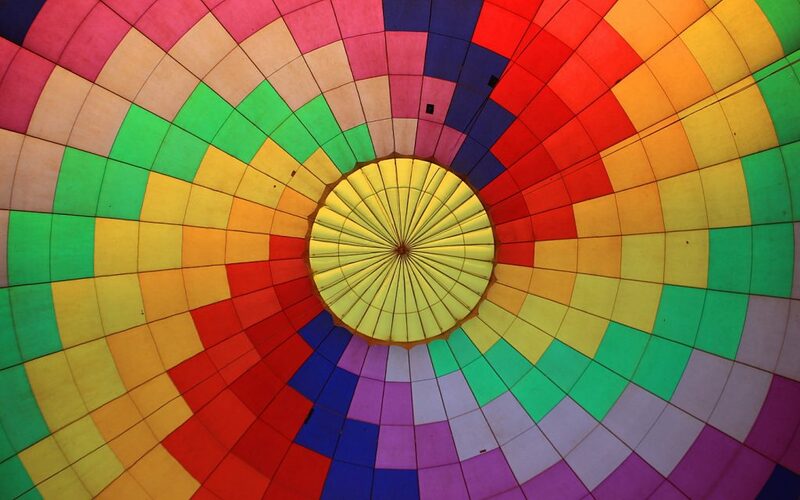 If you don’t count the minor thrill of being very high up in the sky, the balloon ride is a very relaxing experience. Adrenaline junkies might therefore want to look for something else. 5 Things to Do In Vang Vieng That Aren’t Illegal – the distracted wayfarer.